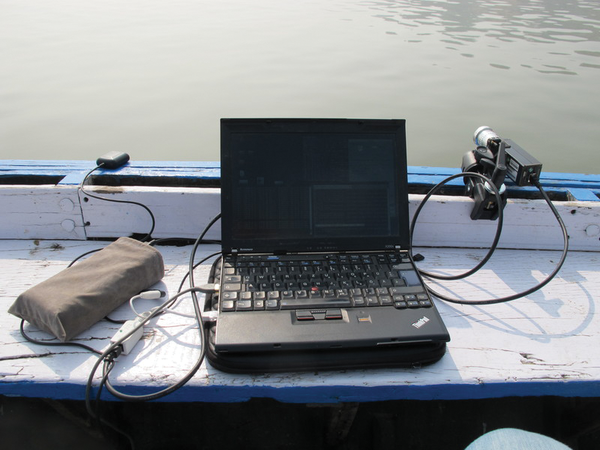 Austrian programmer and media artist Michael Aschauer goes on river cruises of a special kind, creating unusual impressions, thanks to free hardware and software. River cruises in Europe – particularly on the Rhine and Danube – are growing in popularity. However, unlike tourists who are just looking to relax and let the landscape drift by, Viennese photo and video artist Michael Aschauer succeeds in capturing the cultural landscapes and habitats along major rivers from various perspectives and thus provides distinctive views of these rivers with a high recognition factor. In doing so, Aschauer – armed with free image editing software, which he developed himself for this purpose – also transforms a rather monotonous, sedate-looking panorama of these rivers into something more exciting by concisely portraying the activity on the river with its different facets, viewed by ship and satellite and sometimes over distances of more than several thousand kilometers. Michael Aschauer , was born in Austria's Styria region in 1977 and has been regarded as a photo and video artist of international repute for more than 15 years. After studying digital art and visual media design in Vienna, he has demonstrated his prowess with numerous works and publications. Exhibitions in various countries – including Brazil, Great Britain, China, the USA, Bulgaria, Spain, France, Switzerland, and Germany – have established him as part of the international art scene. Several internationally renowned art prizes and various grants from galleries also demonstrate that his artistic achievements are accordingly valued (Figure 1). 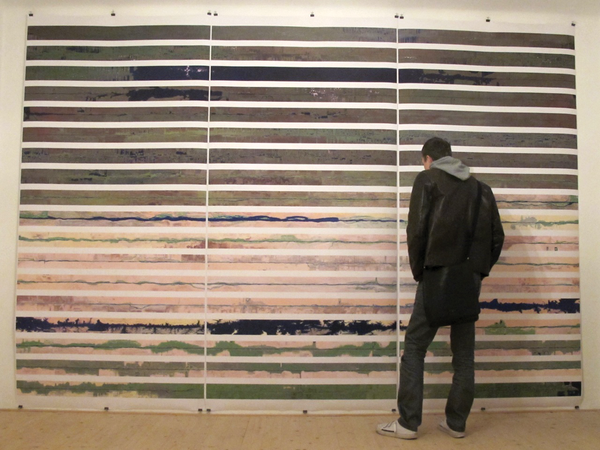 Figure 1: One of Michael Aschauer's works at an exhibition in Schattendorf, Austria, in 2010. However, Aschauer is not just an artist in the original sense of the word but also a virtuoso in the world of bits and bytes. As a Linux professional, he has developed applications based on free software for several educational and workshop projects over 15 years. In terms of his artistic work, Aschauer is not fazed by the task of writing his own programs if he doesn't find an application to suit his needs. And, of course, his laptop – which accompanies him on all of his trips – is equipped with a Debian derivative and exclusively free software with which he manages his digital universe. One of the focuses of Michael Aschauer's work is portraying rivers. In doing so, the artist approaches his subject in two different ways: From an external point of view, his works track the flow from a bird's eye view by using satellite images. In contrast, Aschauer also photographs the banks of the river from the vessel navigating it for a view from the inside looking out. He groups these photos in multiple-line panoramic views to create an overall perspective. These projects – "River Studies," the "Danube Panorama Project," or the "Nile Studies" – were realized on the world's major rivers over a period of many years. The artist himself pursues two goals with this experiment: On one hand, he seeks to portray the habitats and cultural space of the river in all its aspects, while on the other, he faces the technical challenge of creating a realistic-looking panoramic view from a series of digital photographs from different perspectives without breaks in the photographic media. Michael Aschauer welcomed me to his studio in Vienna. On the table in front of him, there was what looked like a fairly clumsy black camera – viewed superficially. It reminded me of a commercially available CCTV surveillance camera from years gone by. In stark contrast, it had a silver, fixed-focus lens from the 1970s affixed-- as typically used with analog movie cameras of the period (Figure 2). Figure 2: The camera equipment, including a fixed-focus lens. Although existing satellite images acted as the source material for creating the river panoramas from a bird's eye view, Aschauer used his special camera by Elphel to record the river from on board a boat. 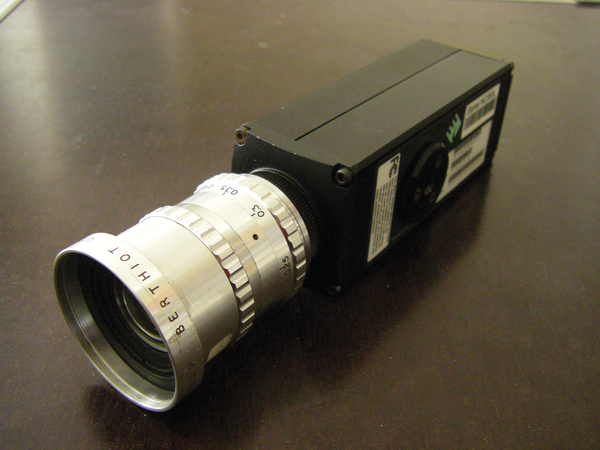 He explained: "These cameras by Elphel are not only characterized by their consistent use of open hardware components, they also use embedded Linux as their operating system. This gives you various options for adapting the camera to suit your individual needs, because it contains programmable logic components." The Elphel 353  used by Aschauer with its five-megapixel sensor – in combination with a fixed-focus lens (with a focal length of 8 or 16mm) – generates customized video images in an extremely wide format of 2592x48 pixels. The frame rate of the software-based line scan on the computer can be up to 400 frames per second. Aschauer has to adjust this frame rate manually for his recordings, taking various factors into consideration in his computations, such as the speed at which the vessel is traveling or the distance to the riverbank. Alternatively, it would also be possible to allow the camera to use its internal line scan method – in this case, the camera sends a continuous data stream of frames captured line by line to the computer, and the computer generates an image from them. The Aptina sensor in the Elphel 353 achieves a rate of up to 2,300 lines per second. However, the camera's internal line scan mode turned out to be not particularly stable, as the artist explained. Aschauer thus opted for the slower but more precise method of using software computations on the computer. To ensure a uniform image, it is essential to adjust the camera's frame rate permanently. Because this is a manual process, Aschauer also needs a powerful preview function: "To be able to read the RTSP [real-time streaming protocol] data stream from the camera, display a small thumbnail of this, and then save the stream as a video file, I programmed a special software tool that relies on GStreamer as its back end. In terms of metadata, the software also stores the GPS data in the file." However, the artist wasn't satisfied with this. He said, "To add more convenience, I also created a small controller from an Arduino minicomputer and a MIDI controller that I had taken apart – this made controlling the camera recording far easier." Figure 3 shows what this looks like. Figure 3: The hardware (from left to right): GPS receiver, bag with batteries, laptop, and camera. Wind River has released Version 3.0 of the Linux platform for embedded device development. Hardware specialist Intel and embedded systems manufacturer Wind River are aiming to put Linux on wheels. Both enterprises have announced their intention to release a jointly developed Linux platform for the automotive industry.